We’re entrepreneurial, value oriented decision makers who drive the development of the world-class software products that power Wayfair’s transformation of retail for home. We create the web and app experiences that make Wayfair a delightful place to shop, establish new and innovative services for customers, and build the backbone of Wayfair’s pricing, merchandising, supply chain, and enterprise operations. Whether on desktop, mobile web, or app, or any of our proprietary internal platforms, we leverage data, user-centric design, machine learning, and Agile to exceed customer expectations and achieve operational excellence, fueling company growth. Our work requires us to move fast and collaborate with some of the best engineers, creatives, data scientists, operators, and analysts to discover, build, and scale world-class software products. 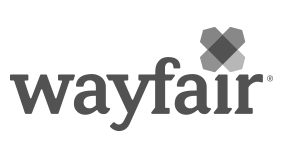 Wayfair’s Operations Product team is looking for an experienced Associate Director, Technical Product Management to lead development and delivery of the Supply Chain Optimization technology platforms. In this role, you will partner with business owners, product managers, technologists, engineers, data scientists, the operations research team, and other stakeholders to understand the Wayfair Operations organization's strategic goals and identify gaps in current product capabilities. You will strive to define product design and functional requirements/capabilities with a particular focus on implementation to execute on these through delivery. The Supply Chain Optimization platforms are core to Wayfair’s availability, replenishment, demand management, and fulfillment strategies. As the Global Product Owner for this platform, you will drive optimal balance of marketable speed, supply chain costs and availability as you develop a scalable, performant global product platform to power replenishment and inventory positioning at ever-increasing scale. You will partner with Engineering, Operations Research, Data Science, and other Product teams to design a product architecture and build a product vision, strategy, and roadmap that shortens time to value across several availability and supply chain experience initiatives.